Ralph Sutter (right) and Stancie Greenlaw are among the tenants facing eviction after UMass Lowell bought their apartment building, with plans to turn the property into a residence hall for students and faculty. LOWELL — When Ralph Sutterand Stancie Greenlaw loaded up their belongings and left their Everett apartment last December they were elated. 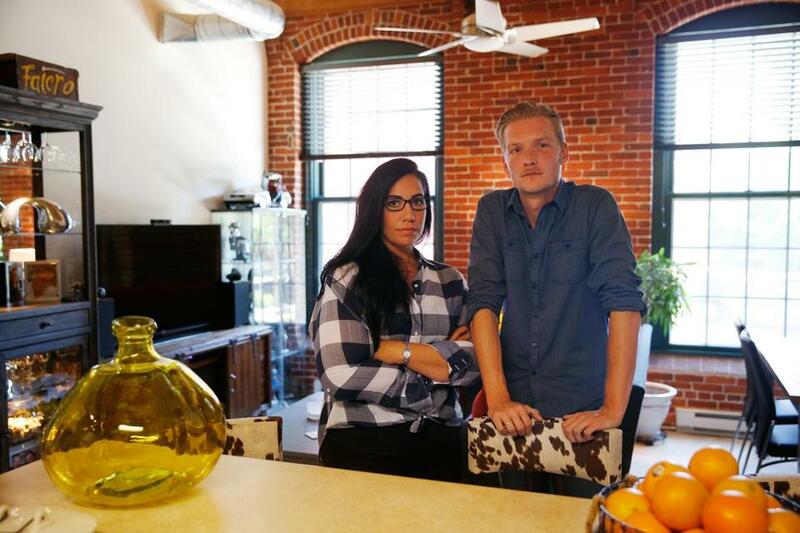 The couple had landed their dream apartment — a two-bedroom loft with brick walls and 15-foot high ceilings in an old mill in Lowell for $1,550 a month. Barely six months into their lease, though, they awoke one June morning and found a flier under their door informing them that their building was being sold to UMass Lowell and that they would have to move within the year. Sutter soon learned that the university planned to spend $61.5 million to purchase the luxury apartment building on the banks of the Merrimack River. UMass plans to use the complex as a residence hall for students and faculty on its Lowell campus. UMass is paying a premium to buy the apartment complex — $42.5 million more than the city’s assessed value. The sale, which includes 230 apartments, an administrative building, and a parking lot, is expected to occur in July, and will force hundreds of tenants to move in the next year. The block-long brick Perkins Park complex, which has views of the river, the city’s downtown, and a dog park, is squeezed between the Tsongas Center and the Lowell Spinners baseball park. The property, which was developed by Mira Development, was purchased for $3.16 million over a decade ago. According to state records, the complex was awarded $6.4 million in state historical tax credits to develop the site. Those tax credits expired in 2014, allowing the company to sell the property and keep the credits. Mira Development did not respond to an interview request from the Globe, and Mayor Edward J. Kennedy could not be reached for comment. But some city councilors, like Rita Mercier, assailed the proposed sale and said the city could not afford to lose hundreds of residents who had helped revitalize the downtown economy. “To take people that we begged to come to the city and to kick them to [the] curb just breaks my heart,” Mercier said. Jeff Cournoyer, associate vice chancellor for public affairs at UMass Lowell, said the purchase was necessary for the college to keep pace with an expected 15 percent enrollment growth by 2020. The complex would serve as the school’s first residence hall designated for graduate students, whose ranks have surged 40 percent in the past five years. Rent from the 700 students and faculty who would live there would cover the cost of the purchase, he said. “All residence halls on public campuses are self-supporting, meaning that state tax dollars don’t pay for student residence halls,” he said. Cournoyer said an independent appraisal prepared for UMass set the market value of the property at $58.5 million. He said it would cost $105 million to build a similar facility. He added that the university had been negotiating to purchase the complex for years. The complex, which will be renovated for students and reopen in fall 2017, will become the 11th residence hall at UMass Lowell. University Suites, the last dorm that the college built in 2013, houses 472 students and cost $54 million to construct. The block-long brick Perkins Park complex has views of the river and downtown Lowell. Last year, the Globe reported that construction costs of new buildings and facilities across UMass’ five campuses had saddled the university with $3 billion in debt. The university system projects that by 2020, the annual debt service payment will be $222 million. Even with the debt, the university maintains a positive Aa2 rating, according to Moody’s. 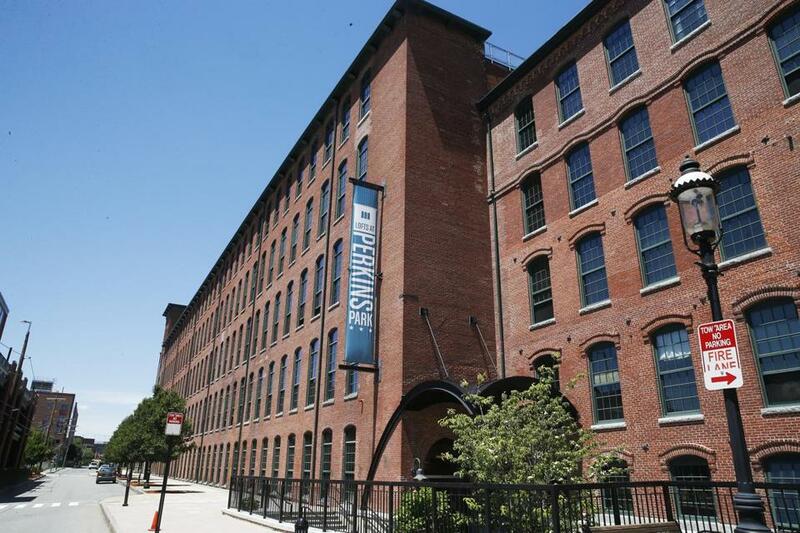 While UMass Lowell has agreed to a one-time payment of $321,000 to cover a year’s worth of city taxes on the Perkins property, the complex will revert to tax-free status after one year since UMass, a state entity, is not required to pay property taxes. Mercier, who has served on the City Council for 21 years, questioned why UMass chose to purchase a building that provided tax revenue to the cash-strapped city. “We’re losing more than we’re gaining — this is not good for the taxpayer,” Mercier said. But Cournoyer said the university has played an important economic role in the city. Even before the proposed $61.5 million acquisition, UMass holdings in the city were assessed at $306 million. While UMass does not have a tax agreement with Lowell, the state sends the city $201,000 every year as a payment in lieu of taxes for state-owned property — most of which is used by UMass. Cournoyer said UMass is the second-largest employer in the city, after Lowell General Hospital, paying $27.4 million annually to workers. He said UMass also spends more than $10 million annually for goods and services to Lowell businesses, and added that the university pays Lowell $1.43 million annually to cover rental property taxes, meals and rooms taxes, and for parking lease rights. UMass has offered the tenants funds to cover moving costs and plans to reimburse them for a month’s rent. But renters like Sutter and Greenlaw, who have a year to find a new place to live, say that financial offer is almost irrelevant given what they feel they’re losing. The couple, thrilled with their apartment and river views and a park for their dog and cat to roam, still have yet to unpack all their boxes from their December move. Since a majority of the residents have pets, many of those interviewed said they could end up competing for apartments with other displaced residents who want to stay in the city and live in pet-friendly quarters.